Bonjour lecteurs! Back to the good old routines with the kids at school. 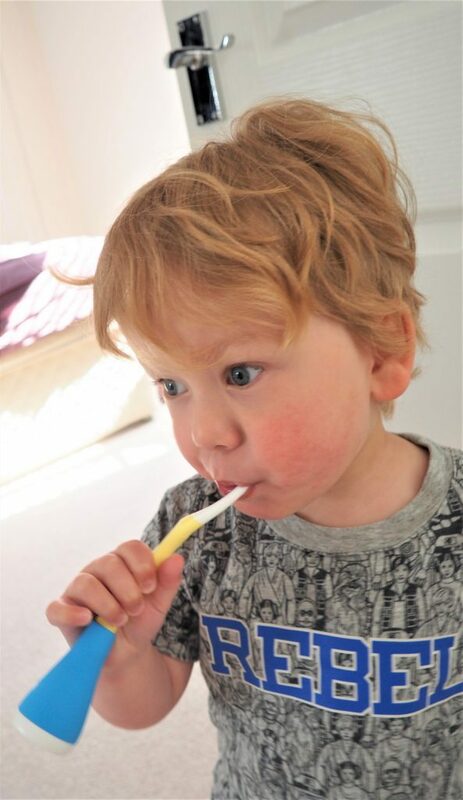 Do you have a reluctant child when it is about brushing their teeth? We have been there with Baba. While he was loving it when he was little, he became a bit fussy later on. I will blame it on the Terrible Twos, right? It was sometimes a nightmare to get to clean his teeth. If this story rings a bell, then this new Back To School Giveaway is yours! Win a Playbrush Smart worth £19.99. This fab gadget will be a game changer! Playbrush is such a clever concept! 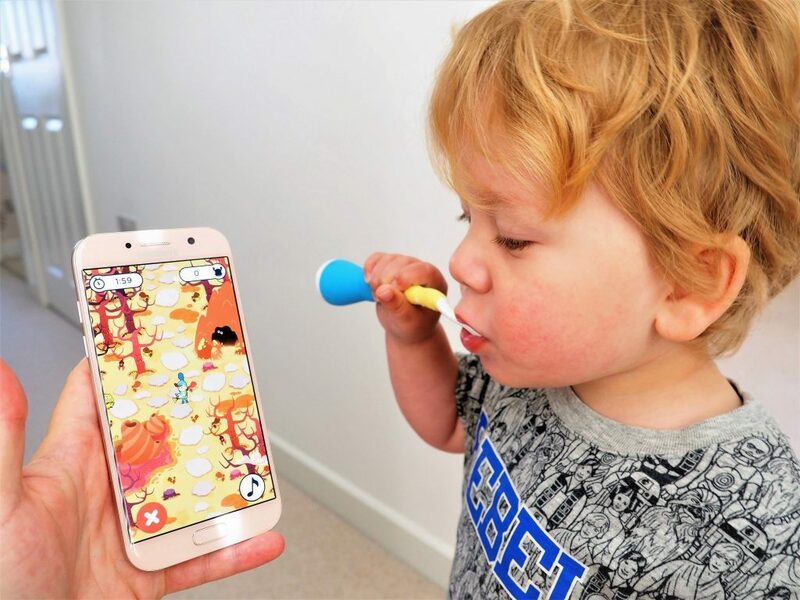 L’idée of connecting toothbrushes with mobile games came to Paul when his godson Kiwi hated brushing his teeth. We get it, it is not much fun, right? 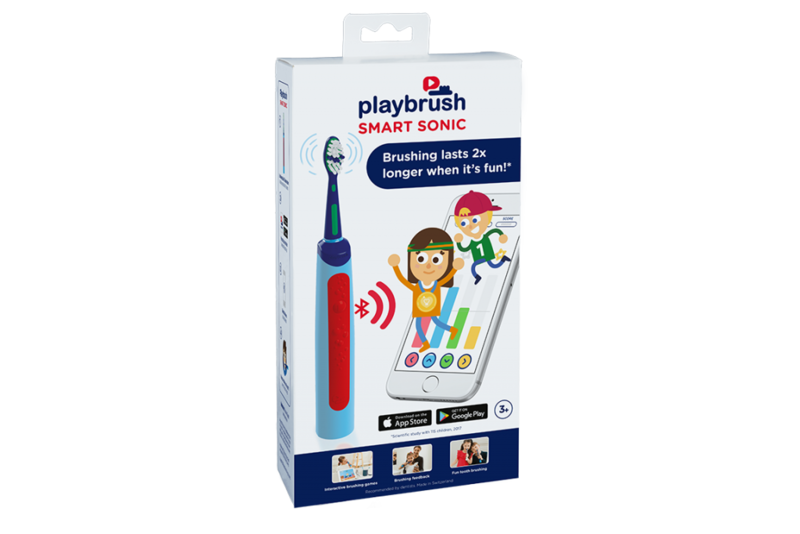 So Playbrush was created to combine fun and dental health. Une idée de génie! The brand’s goal is simple: by adding some interactive gameplay into the brushing business, the whole thing becomes playful for children. And it helps parents to teach their little ones how important dental hygiene is. Add up some interactive fun with Playbrush Smart! But it will not only support you to build a good routine! This smart device is so clever you also get statistics to see what needs to be improved! We reviewed it over the Summer with Baba so have a look at our Playbrush Review here if you fancy! This fabulous label has a good selection for parents, whatever their needs! And it is so simple to get started! Once you do it, you will get hooked! Kids get so into it! Today, we give you the chance to win a Playbrush Smart worth £19.99. But si vous préférez, you can buy the Playbrush Smart Sonic, which is a fully integrated electric toothbrush. Both come up with 4 games and a brushing coach included. And if your little ones are really getting into the competitive element, you can then upgrade to more games and detailed statistics! For today, you are in to win the first ever product from this cool and techy label. Once your prize arrives, charge up the smart device, then download the app on your phone (or on the tablet for extra fun at bath time!) and c’est parti! Next thing? Let your child have fun with the games. It is very entertaining with the music and so easy to understand. Baba got is super quickly when we tried it. He was actually quite competitive with me! It is so fun to be a brushing knight! It is so good! You can then see the results and what part of the mouth the children need to brush more! Plus facile to pack it away when you go on holiday! Fancy it now? Can’t wait to see who will be our winner in a month? The brand has just launched a Playbrush Smart Sonic too! 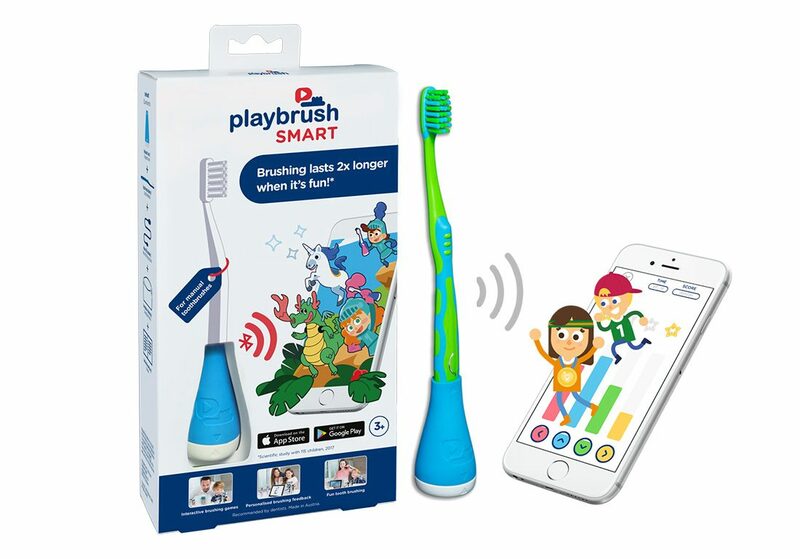 So get your smart device to help the little ones brushing their teeth now. Use our special Discount Code FRENCHIE20 for an extra and very Frenchie 20% off the whole online store! So if you already have a Playbrush but you would like more games, you can use it too! And when you know that 25% of children will have tooth decay when they start school, that makes you want one now! Do you want an easier life? 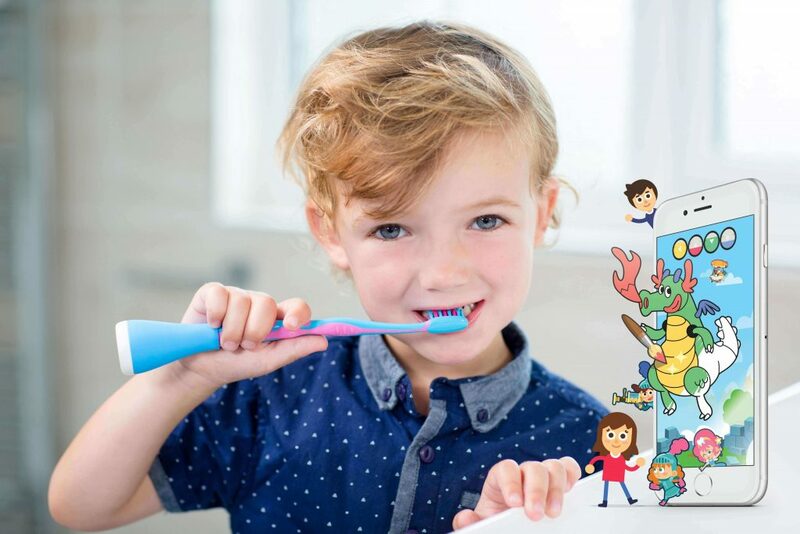 Tired of reminding your little ones to brush their teeth? You are in to win this one for today! Win a Playbrush Smart worth £19.99 now. Exit the cries and tantrums when it is time to brush their teeth! Brushing is more fun with Playbrush! Enter our new Back to School Giveaway via Gleam. This giveaway starts on the 12th of September and ends at midnight on the 12th of October. Tomorrow, you will be in to win not one but two prizes!!!! Oui, you are not dreaming! 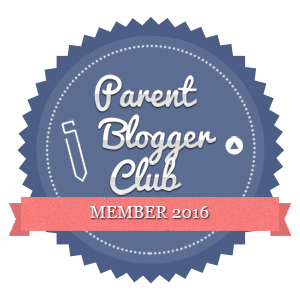 I am going to publish two giveaways!!! 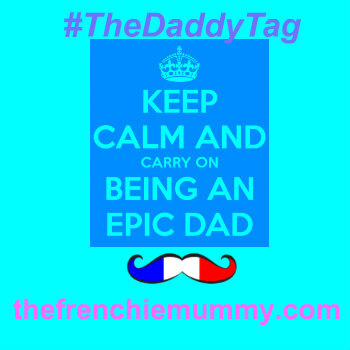 One for your little ones and one for you, ladies 🙂 So get ready! Disclosure: This is a sponsored post written collaboration with Playbrush. I pretend its a microphone so that my daughter can sing while I brush her teeth. This would be amazing. We would brush our teeth together and I let them pick their own toothbrush and toothpaste. Everyone has to do the special “brushing our teeth” dance. I tell my boy that he’s a lion and he needs to open his mouth wide to show all his teeth. We had a lot of problems getting the toothbrush in there before! My son is 10 and I am still trying to work out how to get him to brush his teeth! My great grandson is only 20 months but at the moment thinks it is fun having his teeth cleaned. Hope the novelty doesn’t wear off! Make it a game with a timer. You can get these little capsules in the chemists that when chewed, turn any bits of bacteria on your teeth bright red. It’s a great way to encourage them to brush their teeth. Using a timer always helps. I do a silly dance for all the time they brush, often I have to tell them to stop as I am exhausted! I have tried an egg timer before but that didn’t work ? i use the toothbrushing song on youtube to entertain mine into brushing for longer!! We used a sand timer before so she brushed her teeth for the right amount of time. We sing a song about all the characters that my little one loves & how they brush their teeth! By the time we have gone through them all her teeth are well scrubbed! You brush up and down with all your might. Knees bent, arms stretched, brush brush brush! In the middle bit I run up & down the landing, which they love! Haven’t needed to use tricks with my nephew. We used a great iPad app that made brushing teeth fun with music, challenges, and interactive stories. A fun timer and brushing with an older sibling or mummy or daddy helps. We use flavoured toothpaste such as strawberry, they are using bubblegum flavour at the moment! We use to use the aquafresh brushtime app, it worked for a while but then she got bored of it. I’m not sure I have any great tips…. That’s why I’m entering ? it’s so hard to brush my boy Charlie’s teeth he likes doing it himself though but I still need to help as he doesn’t do it properly ? We have used a kitchen timer and they have to keep brushing until the bell rings!